Being the new mobile carrier partner of the NBA, replacing T-Mobile which had the gig for years, is great news for Sprint executives who probably can get a couple of tickets to any game. 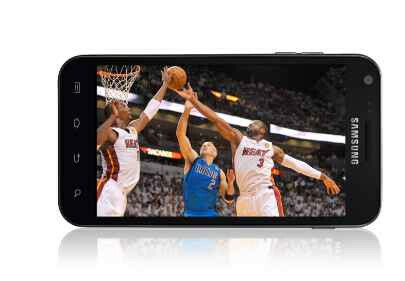 It is also fantastic news for Sprint's Android totin' customers who have the exclusive privilege of installing the new Sprint NBA Mobile 2011-2012 app on their Sprint phone. 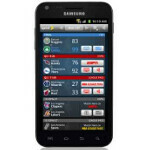 The app offers NBA scores, news, standings, stats and in-game video highlights. Radio broadcasts are also available and you can select either the visiting radio crew or the home team's play-by-play announcer. Games can be viewed over your phone from Sprint TV's ESPN channel. One major advantage that Sprint customers will have is a 20% discount on the NBA League Pass. The mobile version of League Pass brings you 40 out of market games per week that you can view from your handset, and an archive from which you can select certain games to replay. Even though the 2011-2012 season started late, it still promises to be an exciting one and we wouldn't be terribly surprised if Sprint was able to grab some business away from other carriers with this app. Of course, Verizon still has the exclusive on the NFL's mobile app and Major League Baseball's At Bat is available for most platforms. Im in California but Lets Go Heat, Clippers, and Kings!!! I hope Kobe stops faking injuries this season. A torn ligament doesn't heal in 4 days Kobe you never tore the ligament in the first place.